Although summer is coming to a close, the heat here in Southern California is no where near gone. I am relishing my last days of outside entertainment and eating al fresco before the fall really decides to make an appearance. 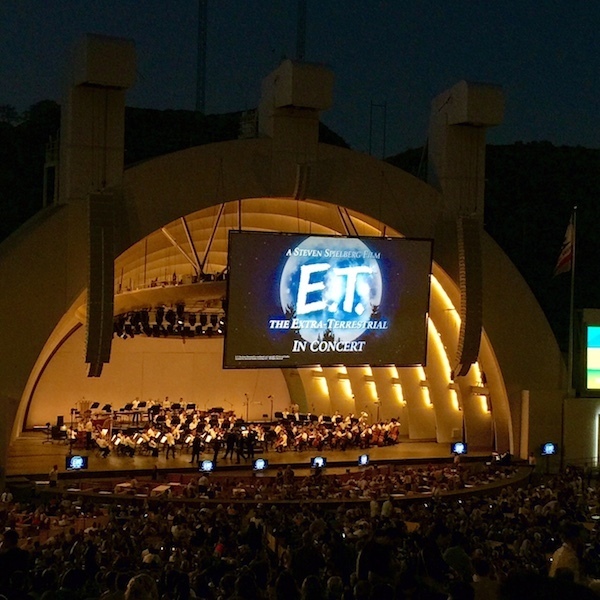 This past Sunday early evening a group of friends and I went out for a fun picnic and movie at the Hollywood Bowl. 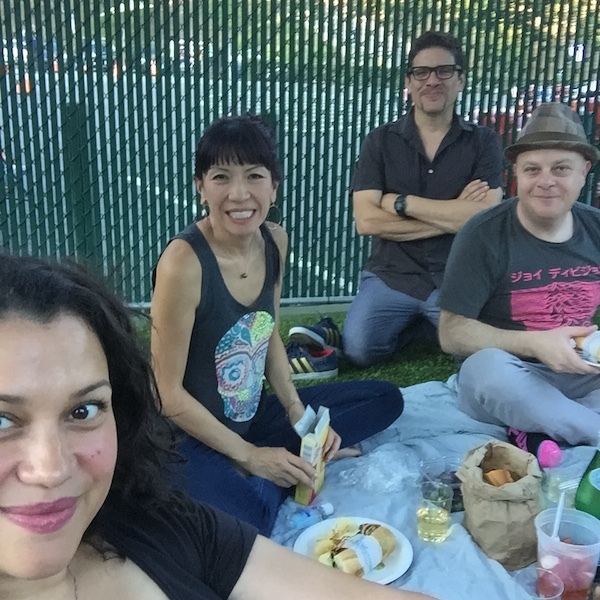 It was such a magical experience that at a certain point I turned to my constant companion Mando and asked him why we don’t come to the Hollywood Bowl and picnic more often. I don’t know if it had to do with the atmosphere or the friends we were with or the creamy pesto spread I made for our sandwiches. Here’s what sparked the menu…. 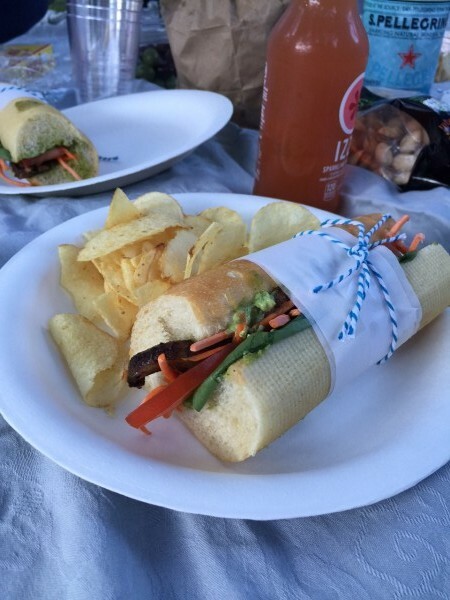 At the beginning of the year Mando and I became vegetarians, and it was the first time we were going to attend a picnic as such. I toyed with the idea of different things to prepare, but none were really showing up with an exclamation mark at the end. Until I started dreaming of a creamy pesto. I didn’t want to add it to pasta because it would be difficult to carry and serve, but it would be heavenly teamed up with a grilled portobello mushroom sandwiched between a baguette. 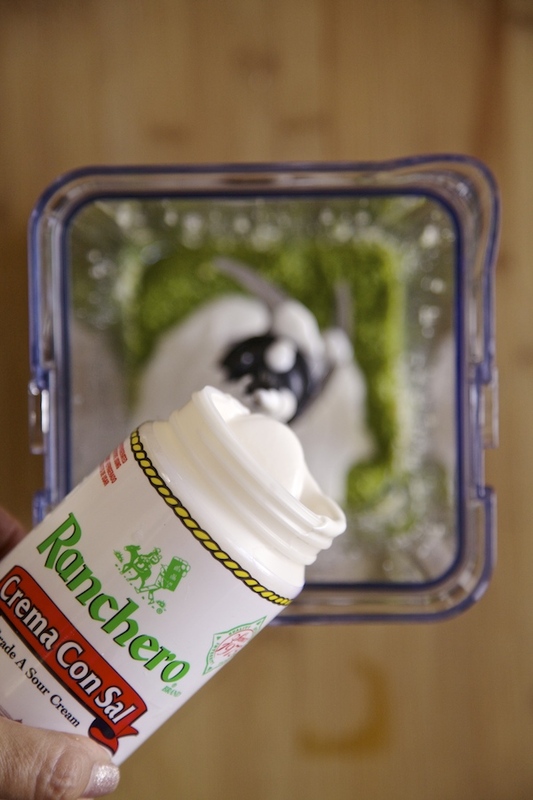 I wanted to make it creamy and thick and use it in place of your ordinary condiment spreads. I thickened up my fresh basil smear with robust Cacique’s Cotija and Ranchero Crema Con Sal, along with pine nuts, garlic and olive oil. 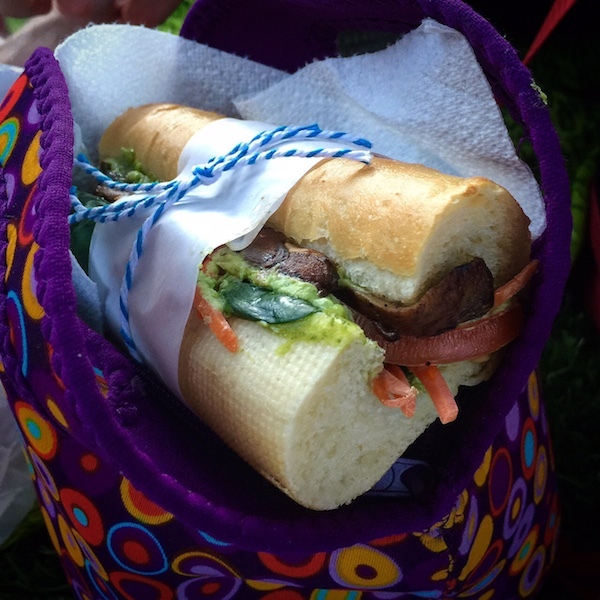 It came out fantastic and all the meat eaters were trying to get their hands on our vegetarian sandwiches…. One girlfriend of mine put one in her purse for later. 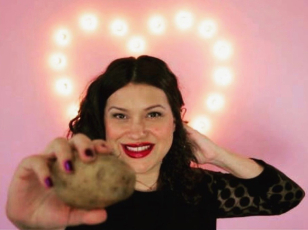 I blame the creamy pesto. 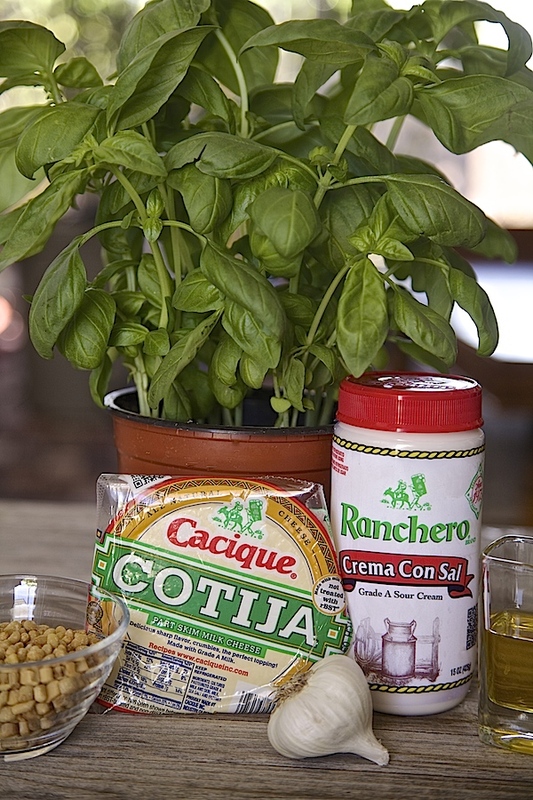 HOW TO MAKE CREAMY PESTO: Add basil leaves, garlic cloves, pine nuts, olive oil and Cacique’s Cotija to a blender. 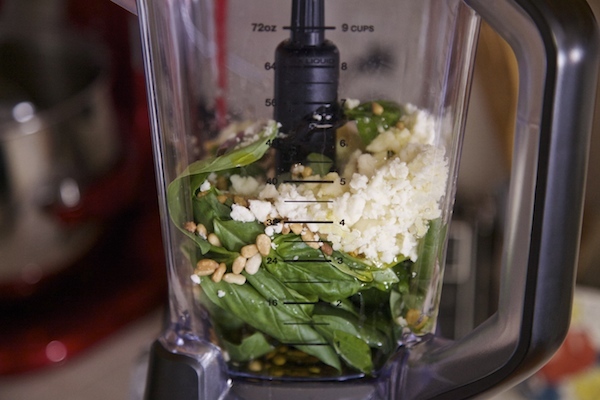 Blend until smooth and basil is minced down to small specks. 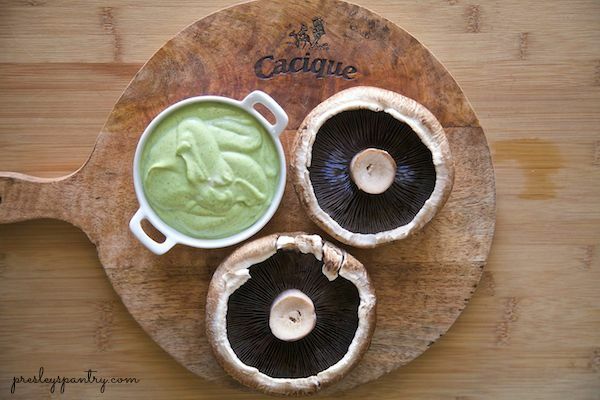 Pour in Cacique’s Crema Con Sal. Blend again until creamy, thick and smooth. 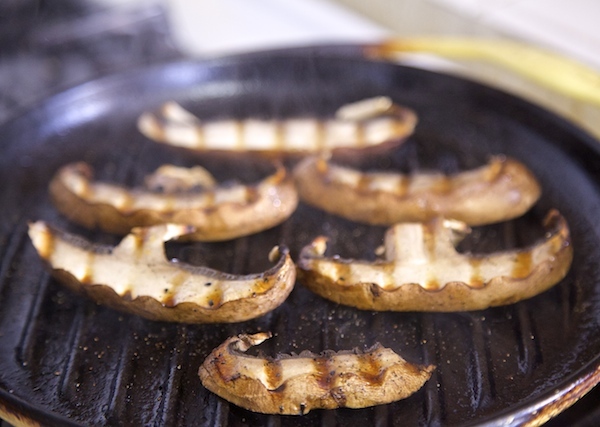 GRILL MUSHROOMS: Slice portobello mushrooms into 1/2 inch slices. Drizzle with 2 tablespoons of olive oil and salt and pepper to taste. Place sliced mushrooms on a hot grill and cook on each side until browned about 5 to 7 minutes. ASSEMBLE YOUR SANDWICH: Slice baguette in half. Then cut into 6 inch pieces. 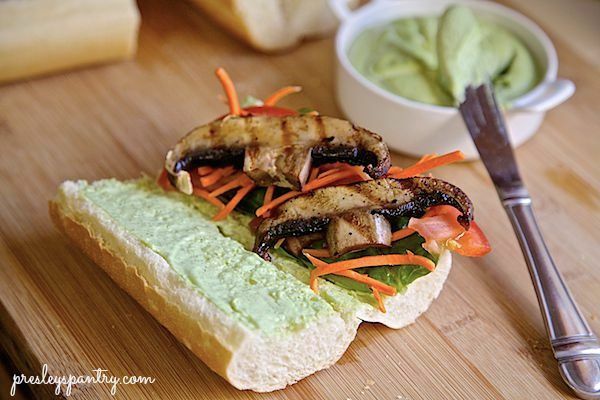 Spread each side of bread with a healthy amount of creamy pesto. 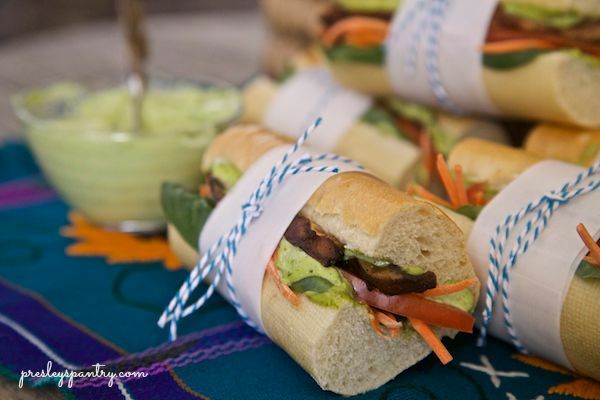 Layer baby spinach, sliced tomato, shredded carrots, pickled onion, and grilled mushrooms. 2017 Hollywood Bowl Season Line Up And My Almond Cherry Crumb Cake!